Select "play" button to view property video. Improvements: ± 20,550 square feet comprising a vacant, two story masonry building with full basement built originally as a meeting hall for the Veterans of Foreign Wars circa 1948. There is an adjacent surface parking lot to the West. Price: The City seeks $2,000,000 (Two Million Dollars). All offers submitted shall be cash only and made on the forms to be found in the Offering Documents section of this website. Terms are not available. 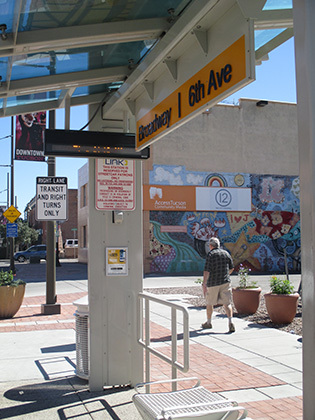 Location: Downtown Tucson, on the South side of Broadway, mid-block, between S 6th Avenue and S 5th Avenue. 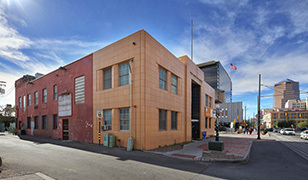 The East elevation of the building fronts S Arizona Avenue, a public alleyway. 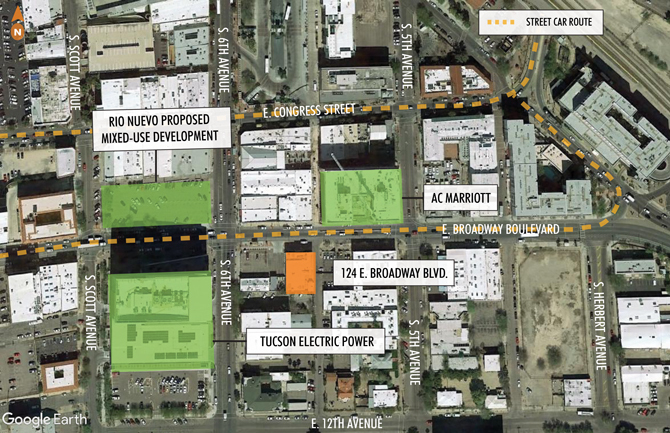 The new AC Marriott is opposite and the headquarters of Tucson Electric Power (TEP) is one block West. A proposed ±250,000 SF multi-use development is planned for the parking lot at Broadway Blvd. & 6th Avenue. Topography: the property is essentially flat and level. Zoning: OCR-2, City of Tucson. Buyer will also have the option to take advantage of the Infill Incentive District zoning. 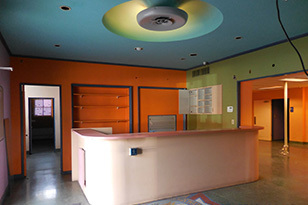 Conservation and Preservation: The City of Tucson will require the Buyer to preserve the Broadway elevation. Historic tax credits may be available for preservation of additional internal elements. © 2018 CBRE, Inc. All rights reserved. This information has been obtained from sources believed reliable, but has not be verified for accuracy or completeness. You should conduct a careful, independent investigation of the property and verify all information. Any reliance on this information is solely at your own risk. CBRE and the CBRE logo are service marks of CBRE, Inc. All other marks displayed on this document are the property of their respective owners. Use of these images without the express written consent of the owner is prohibited.